The huge mobile show - MWC 2019 - kicks off in Barcelona, Spain on February 25, and according to GizChina the firm behind the Android-toting Nokias (HMD Global) wants to launch its new flagship phone before the event gets underway, so it doesn't get lost in the noise. We've already learned that Samsung will reveal its next flagship phone a few days before MWC starts, with the Samsung Galaxy S10 launch date set for February 20. If the Nokia 9 PureView launch date follows suit, we'll be in for a busy end of the month. The main talking point from all the Nokia 9 PureView rumors are the multiple mentions of the handset's penta-lens setup on its rear. 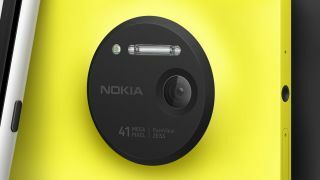 It's tipped to boast five rear cameras which means there will be a lot of focus on its photography potential, with the PureView name harking back to the 808 PureView and Lumia 1020, which both packed 41MP snappers. We won't have long to wait to find out what the exact specs will be though, with the release just a few weeks away.